Store BLOG of Shadows: New products in store! We have received the long-awaited Witch Balls! They are so wonderful and shiny! 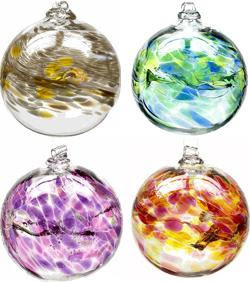 We have small (3 inch/7 cm diameter) and large (5 inch/13 cm diameter) balls in 2 distinct series: Trees of Enchantments and Birth Months. Each ball is blown by hand, so no two balls are exactly alike, even if there are similar patterns and colors. The best way to choose them is to come in the store and select them yourself. Small balls are all $20.95. Large Birth Month balls are $32.95. 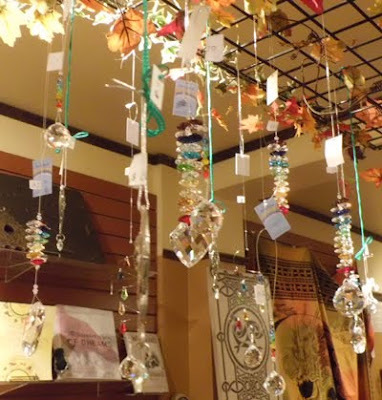 Large Tree of Enchantments balls are $42.95. We also have 2 super cute large glass pumpkins on display, which can be sold as Halloween is over now, at $42.95 each. 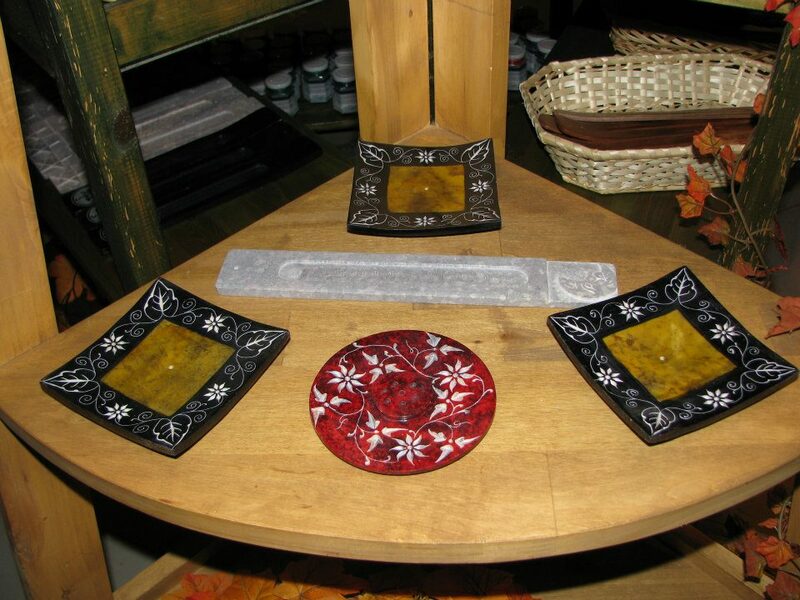 We also received a very diverse selection of soapstone incense burners and boats. There are rectangular boats, square and round plates with very nice patterns, either Asian or "witchy" style. We are restocked in sage bundles, so if you feel like there are nasty energy pockets around your home, you can smudge the corners of each room with sage in a counter-clockwise fashion. This action is useful if you feel there are spirits observing you, whether they are friendly or seem hostile. The newest items in store as of today are crystal drops and hanging crystals, all with Chakra colored crystal pieces and clear pieces. Their prices vary depending on their style and size, from $11 to $35.